True confession: I almost missed the ALA awards announcements last year. I was fresh from maternity leave, in the thick of juggling new daily routines, childcare, childcare related upper respiratory illnesses, returning to a job that I hadn’t done in 6+ months, and nursing a sweet baby boy at all hours of the night. This is to say, I did not feel at all knowledgeable or prepared for the big announcements. I hadn’t read very many of the honored books (aka March: Book Three). I feel like I sort of skimmed over a year of children’s and teen lit. So in an effort to at least quantify what I’ve missed out on in a year, I’ve decided to resurrect an old idea: gathering up the alums. Does an award sticker beget more award stickers? I’m sure some intrepid blogger has gathered this data. 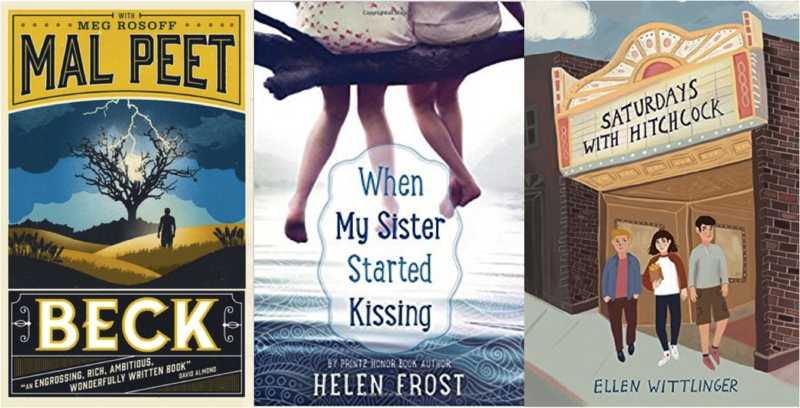 But even if the stats are not on my side, I feel like the works of former winners and honorees – of, in this case, the Printz award – are a great place to start thinking about excellence in teen lit. So without further ado, here is a hopefully somewhat definitive list of 2017 works by Printz award or honor winning authors. A reading list for the childless and otherwise ambitious unfettered; a reference point/pipe dream for the rest of us suckers.